We would love to hear from you – please fill in the form below. 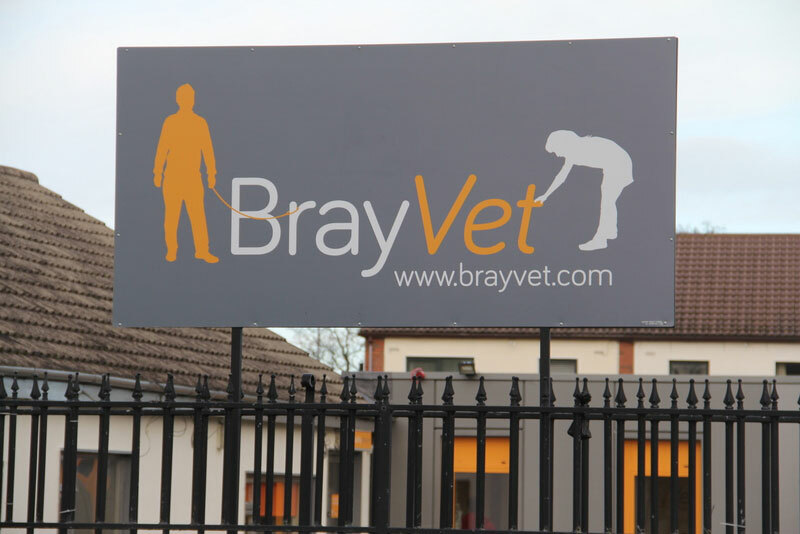 Contact CatsOnly at BrayVet By Phone on 01-2821909 or email info@brayvet.com. Traveling to CatsOnly @ BrayVet by car is easiest by the M50 or N11. From Sandyford or Ballinteer area takes about 10 minutes, and from Charlesland area in Greystones takes about the same time. You can type ‘Bray Vet’ into Google Maps and our exact location comes up. If you are traveling from further south than Bray, it is easiest to stay on the N11 until the last exit for Bray, signposted “Bray, Shankill”. The slip road takes you directly onto Old Connaught Ave. You turn right at the end of the slip road, and we are 100 yards up on the left. Bray Vet Sign Outside The Premises.